The women behind the long-running Backdoor Comedy Club had a great year, and they’re looking forward to more. 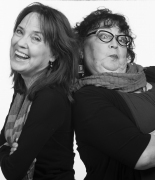 Power women rock the comedy world in Dallas, but none of them have deeper roots than Linda Stogner and her business partner Jan Norton. These two comedy mavens have kept the Backdoor Comedy Club in business for 25 years. Operating only on weekend nights (plus a Thursday night open mic), Backdoor has been at its current place for seven years: a 75-seat side lounge in the Doubletree Hotel at 8250 N. Central Expressway and Northwest Highway. 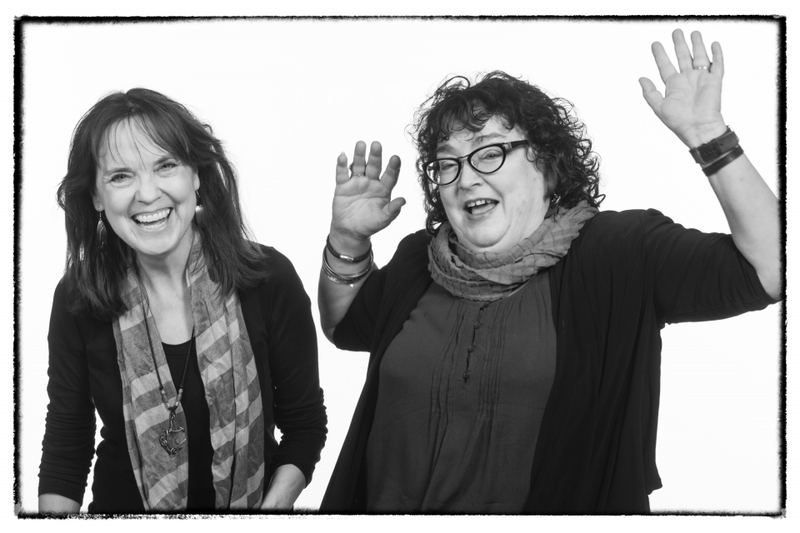 Both women have been in stand-up since the 1980s working the Comedy Corner on upper Greenville and the Improv on Walnut Hill, both now closed. “We began Backdoor because we were newbie comics not getting enough stage time,” says Stogner, “so we started our own place in a joint called Repo’s Pizza. It was the only comedy venue that you could see your name up in chalk.” At their next home, Philachi’s Deli, it was an after-hours operation so attendees had to use the back door, thus the club’s name. Norton tired of the club performer circuit and now stays close to home as an actress, chiefly in Murder Mystery Players, and works the Backdoor reservation line. Stogner, on the other hand, is comedy in motion. Her daft, friendly and extremely quirky stage persona, with an oblique, even warped, take on life, headlines the popular Four Funny Females Comedy show. Stogner is, without a doubt, the top female comic in Dallas. She just this month won Funniest Comic in Texas after having been a finalist for the last three years. She’s nabbed choice spots in nation comedy festivals, appeared on the Joan Rivers Comedy Special, and been a finalist in the Las Vegas Comedy Festival and Funniest Woman in America Contest. It’s those decades of comedy chops that make Stogner, along with Backdoor, a major mover on the Dallas comedy scene. In addition to performing across the nation, she is a voracious consumer of comedy shows. All this gives her an edge among club owners in knowing what the burgeoning new comedy audiences prefer, especially the fastest growing segment for stand-up: women over 40. Backdoor uses a showcase format. Over a couple hours, eight to 12 comics perform sets ranging from five to eight minutes. Compare that to the three-comic format at comedy clubs with an opening act and emcee, followed by a featured act and then headliner, each doing increasingly longer sets. “It’s a throw back to how it was done in beginning and like what you see now at the Comedy Cellar in New York and Melrose in LA,” says Norton. At Backdoor, comics can develop new jokes and bits at the open mic, and then lobby for prime time weekend slots to try them out and gauge audience response. From there they polish the material and fine-tune the rhythm until it shines. Over time, bits are developed into lengthier routines. As comics gain in skills, they are rewarded with longer sets and primo spots later in the bill. 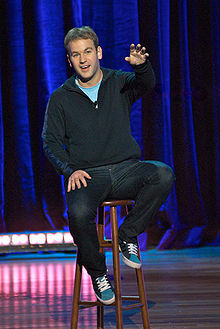 Cream-of-the-crop comedians make it into special holiday shows. It’s a one-stop comic-development shop, a comedy incubator. “We want to be supportive for those who are into the craft of it,” says Norton. 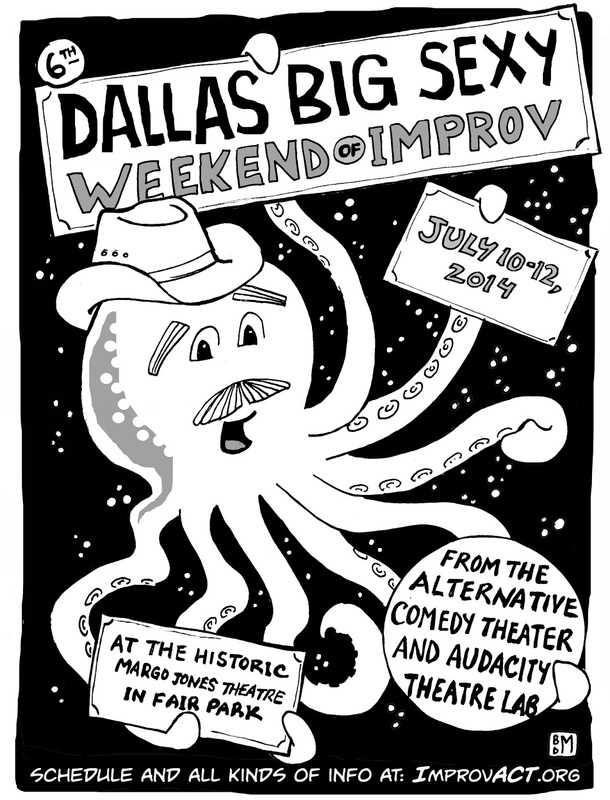 Dallas-based comics who benefit from extensive Backdoor time include Paul Varghese, Aaron Aryanpur, Dave Little, Dean Lewis, Chris Brown and Ryan Perrio. National comics from Backdoor include film and television actor Dustin Ybarra; Cristela Alonzo, star of Cristela; and comedy headliners Robert Hawkins, Tone Bell, and Jerry Rocha. A day job as director and producer at KERA television keeps Stogner busy while raking in oodles of awards, but Backdoor is her baby. Plans are in the works for a 25th anniversary celebration next year, and a there’s talk of a possible Sunday night expansion. Stogner and Norton are always up to something and that’s a very good thing. Editor’s Note: In our first ever Forward Thinkers series, we look at the people who made the performing arts more engaging in 2014—and are setting the stage for the future. We’ll run several profiles daily through the first week of 2015.